Rich, silky and luscious in flavour! This Collagen Beauty Pot, also known as Bijin Nabe (美人锅) is known for its beauty collagen broth that has great nourishing benefits! 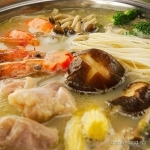 Savour the robust broth as it bubbles with a combination of seafood, chicken, mushroom and vegetables! 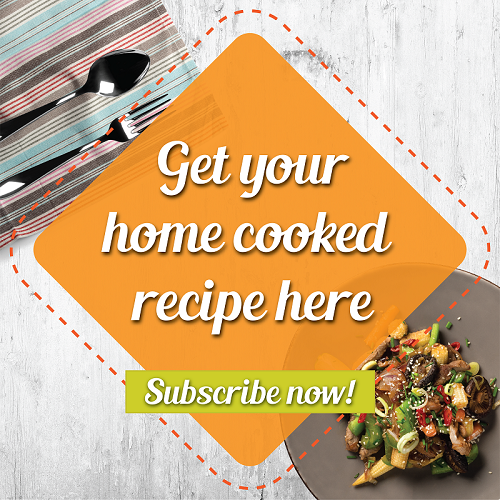 A recipe shared by Annie Mok, who's a home economist and experienced culinary instructor. She also shares her recipes on this website. Nothing says " I love you mum" than cooking a scrumptious meal this Mother's Day and it is the perfect dish as there are beauty benefits too! 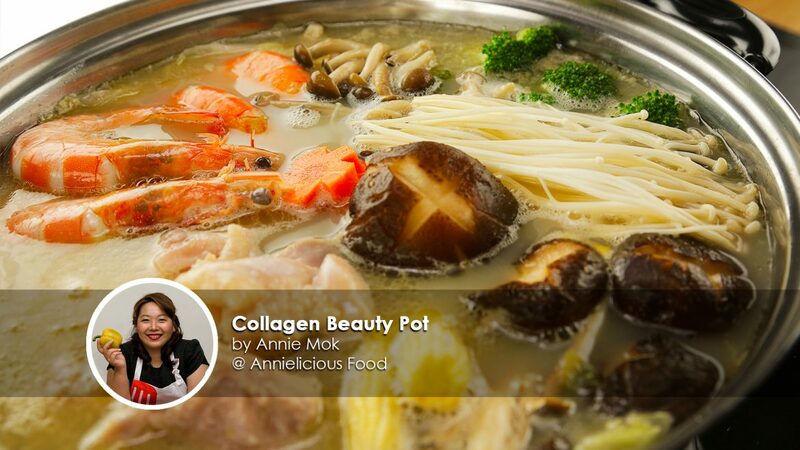 To get this silky clear collagen jelly, Annie shares that there are two important steps to follow. Firstly it is to remove the peanut skin as it'll give you a clearer broth. Secondly, it is to parboil the meat ingredients to remove impurities from the meat. 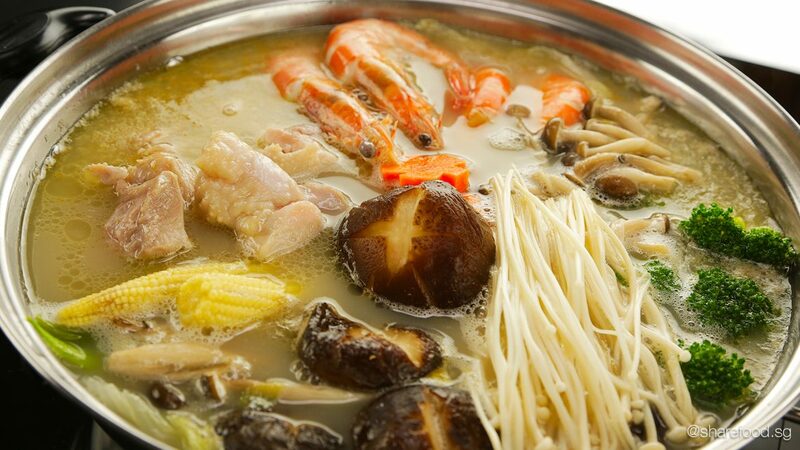 You'll want the broth to be clear and creamy in the hotpot. Collagen made from bone broth helps to improve skin elasticity and skin moisture. The benefits also include lower rates of back pain and reduced knee pain among people with osteoarthritis. Think about all the amazing things your mum does for you. Now it's your turn to surprise her. Rich, silky and luscious in flavour! This Collagen Beauty Pot, also known as Bijin Nabe (美人锅) is known for its beauty collagen broth that has great nourishing benefits! 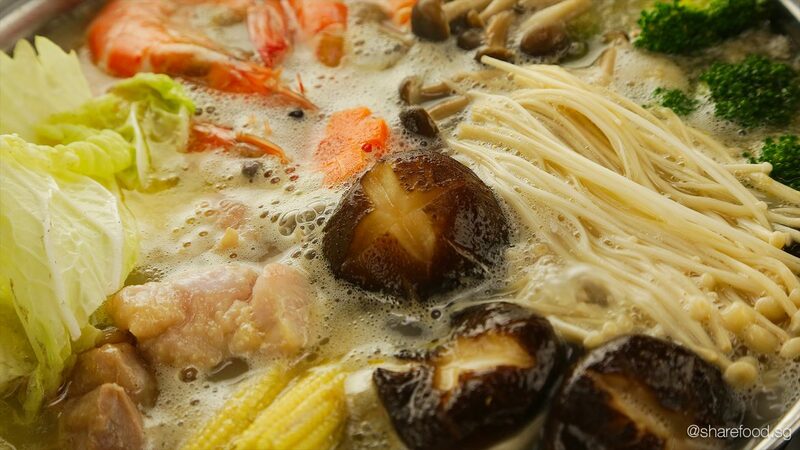 Savour the robust broth as it bubbles with a combination of seafood, chicken, mushroom and vegetables! A recipe shared by Annie Mok, who's a home economist and experienced culinary instructor. Soak the peanuts overnight (or at least 5 hours) before use. Peel off the peanut skin. Rinse the peanuts until water runs clear. Heat a large pot of water. Add pork bones, chicken carcass and chicken feet. Parboil for 3 to 5 mins. Drain the water and rinse the ingredients under tap water. In a stock pot, add pork bone, chicken carcass, chicken feet and peanuts. Bring it to boil for 10 mins. Reduce the heat and simmer the soup over low heat for 4 hours. 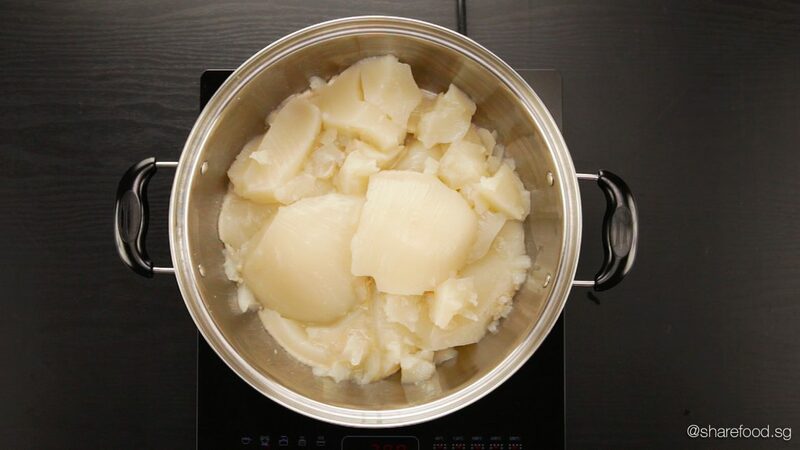 Remove the bones and strain the broth twice to remove impurities. Pour it into heatproof container/bowl, let it cool in room temperature. Remove any layer of fats and store the broth. Estimate amount of stock would be 1.5L to 2L. Keep the soup in the chiller for up to a week. Alternatively, you may keep it in the freezer, and it will last up to a month. Scope the collagen jelly and place it in the hotpot. Heat up and the collagen jelly and it will slowly melt into liquid form. Season with some salt, chicken stock concentrate and sesame oil. Add in the ingredients and enjoy!